Nipsy the Yorkshire Terrier mix breed dog at 22 months old—"Nipsy is a healthy male Yorkshire Terrier mix. He is obviously a mix breed however the exact mix is unknown to me. 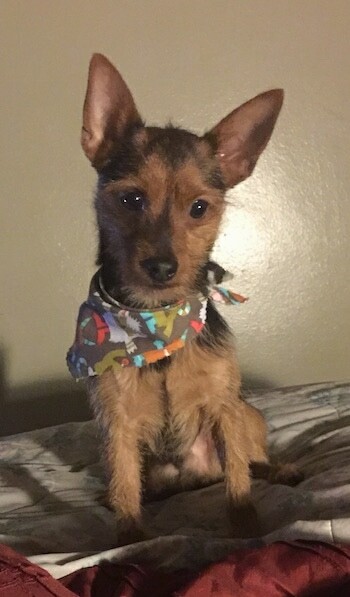 I got him at four weeks and all I was told was that he was a Yorkie. Nevertheless Nipsy is very energetic, intelligent and super friendly. He has an ability to jump over five feet ( especially when you have his favorite tennis ball). While Nipsy is very funny and friendly he can be very "yappy", stubborn and a little difficult to potty train. However he is the best!"